The switch from paper medication administration records (MARs) to electronic medication administration records (eMARs) is offering a greater superiority of care to patients in hospitals and long-term care facilities. The benefits of medical supply carts with drawers are long-reaching and include less paperwork and organizational expenses and fewer errors in medication dispensation. It is more important than ever to offer responsible, measurable data to prove exceptional medical treatment. 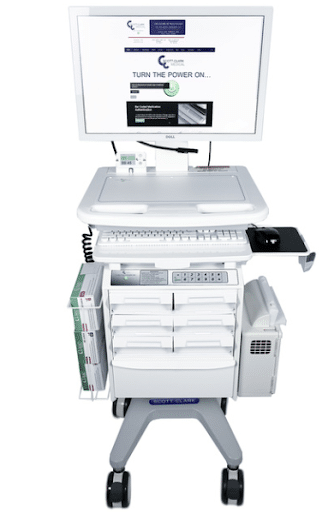 A medication cart offers the capability to conduct a secure and accurate medication exchange from the pharmacy to the cart to the patient from the point-of-care medication cabinets in patient rooms or on the patient floor. Pharmacy technicians transfer medication to drawers or cassettes on the medication cart. Empty bins can be taken out and exchanged for ones that are completely stocked. The technician rolls the cart to the medication room on the floor or to patient rooms where medications are dispensed by nursing staff. Why is a medication cart necessary? Medication carts save time and increase efficiency. Medicines are readily available instead of having to go to the pharmacy and retrieve what is needed. Nurses can spend more time with patient care. Eliminating this time-consuming task helps nurses do their jobs more effectively and offers more time to devote to other patient needs. The pharmacy maintains greater control over medication dispensing since they know exactly where the medication is going and when. As a result, accountability is improved, and there is less waste. 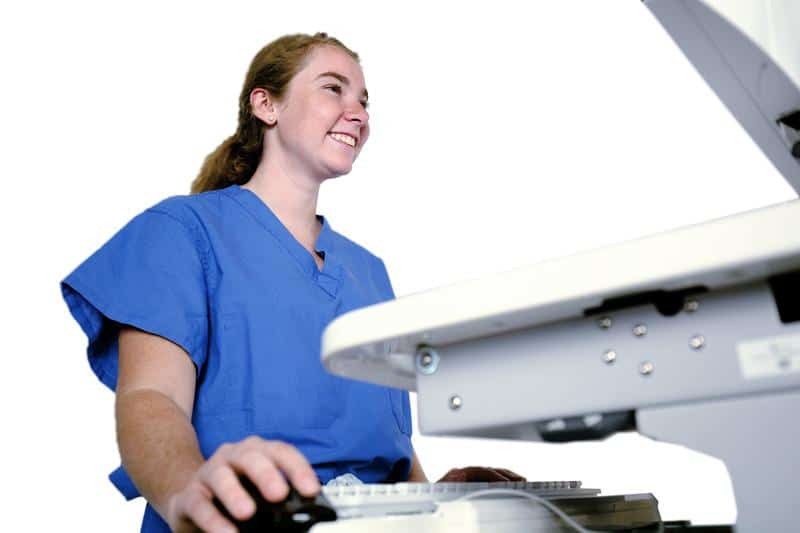 Once your new eMAR is in place and initial training sessions completed, it is vital you have the support you need to ensure the process proceeds smoothly. Periodic review training for current staff, as well as classes for new hires, allows everyone to access the same information. A user reference guide can also be beneficial. Security measures to eliminate unauthorized access or drug diversion. This is both a safety and cost-saving measure. Electronic, manual or proximity card locking mechanisms can be arranged. Carts come in a variety of sizes with up to 24 cassettes and multiple bin configurations. Lightweight carts that are easily maneuverable offer batteries with long life and charge quickly. Surfaces that are easy to clean for infection control. Ideal surfaces are durable and crafted from polymer, powder-coated metal or smooth plastic with few to no hard-to-clean nooks and crannies. A spacious desktop with a keyboard that can be pulled out and additional storage space that does not require secure access for personal belongings and paperwork. Arrangements for bar code readers, sharps disposal and printers. Medication carts create more efficient pharmacy management and control and free valuable time for nursing staff to meet other patient needs. Choose a cart that has the features you want to get the most from your investment.